Menstrual cycle is a cycle a female body goes through every month. Menstrual disorders include pain during periods, changes in the length of the menstrual cycle, and heavy, prolonged, or too frequent periods. Most of the women have their monthly menstrual periods without any concern while some face few concerns. They have their periods so scheduled with a little inconvenience. Some women, on the other hand have to face some emotional and physical symptoms just before the starting or during menstrual periods. They may confront heavy bleeding, mood swings and like. How much blood flow is considered normal? Doctors consider about 30 to 80 millilitres (2 tablespoons to about 1/3 cup) normal; anything less or more than that could be considered abnormal menstrual bleeding. Irregular menstruation and abnormal menstrual bleeding fall into several different categories. Amenorrhea is the failure to start menstruation during puberty or cessation of menstruation. Some of the normal causes of amenorrhea are pregnancy, lactation and menopause. 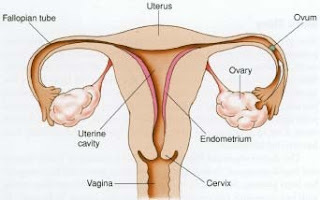 Sometimes women do also go through abnormality of the menstruation, which is “no bleeding at all”. Dysmenorrhoea is the medical term for menstrual cramps. "Primary dysmenorrhoea" is not caused by an underlying medical condition and generally begins when a girl first starts having her period. "Secondary dysmenorrhoea" typically occurs later in life and is the result of a problem with the woman's reproductive system. Tumours or fibroids are non-cancerous tumours are part of symptoms for menstrual disorder and can be very painful. Pain accompanied by bleeding or menstrual cramps is normal with menstruation but most of the time they are much intense and persistent that they are counted among the menstrual disorder. Menorrhagia is excessive, dysfunctional uterine bleeding that occurs as a normal part of a woman's menstrual cycle. Blood flow may be high in volume (over 80 millilitres—about 1/3 cup) and may last longer than a normal period (usually eight to ten days). Heavy bleeding is caused with some women to the extent that they put halt to their routines in order to cope with. Premenstrual syndrome, or PMS, is a group of physical and emotional symptoms that occur in the latter half of the menstrual cycle following ovulation. Symptoms, which can include backache, bloating, irritability and headache, are typically most intense during the seven days prior to the start of menses. Premenstrual dysphoric disorder, or PMDD, is a more severe form of PMS that also includes a psychological component. For a PMDD diagnosis certain symptomatic criteria must be met and the symptoms must interfere with daily living.